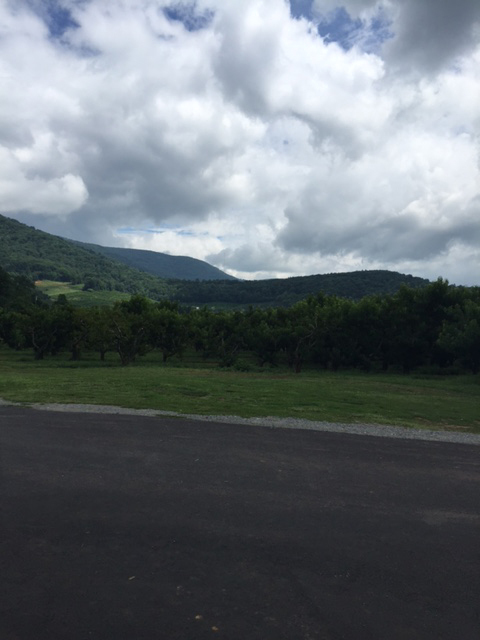 The Foothills of the Blue Ridge Mountains are home to many types of orchards. Apples, nectarines, peaches and even some wonderful vineyards. But, this time of year is peach season. 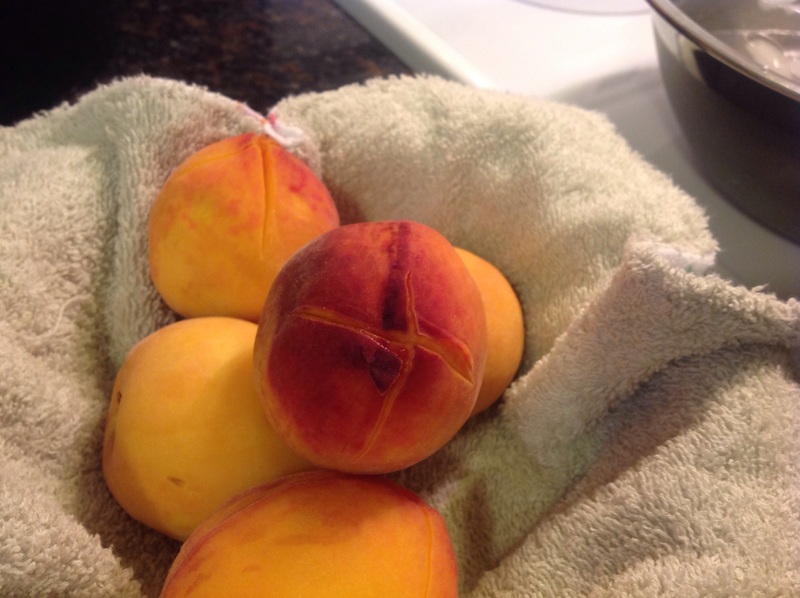 Wonderful, sweet, juicy peaches. 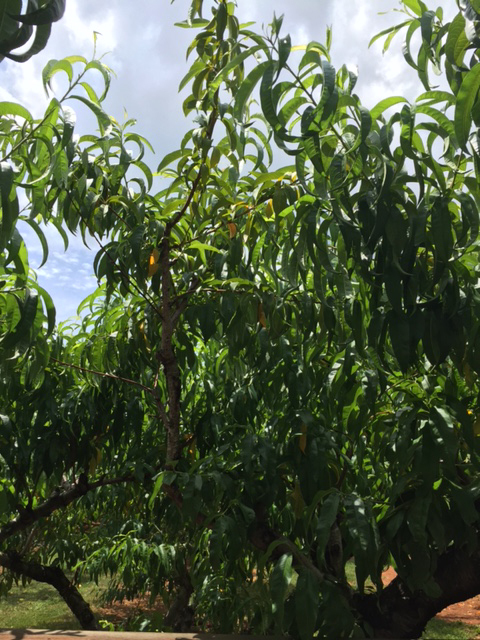 We took a quick ride out to Chiles Orchard last weekend to get some peaches to make ice cream. At this orchard you can pick your own or buy buy ready picked. We bought a 1/2 peck of white peaches. 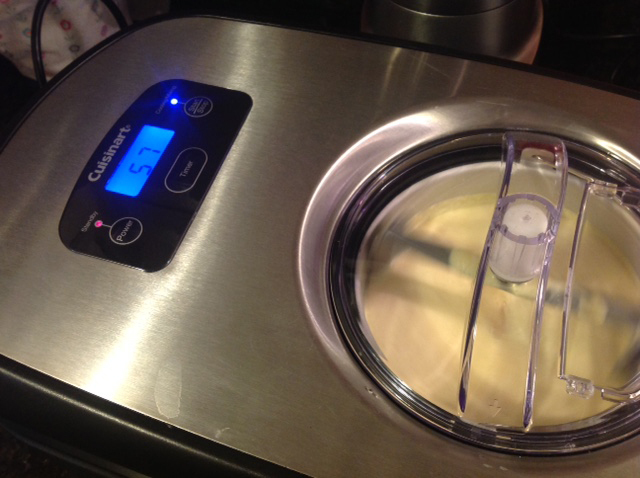 Last year for my birthday, my wonderful hubby gave me a Cuisinart Ice Cream maker. 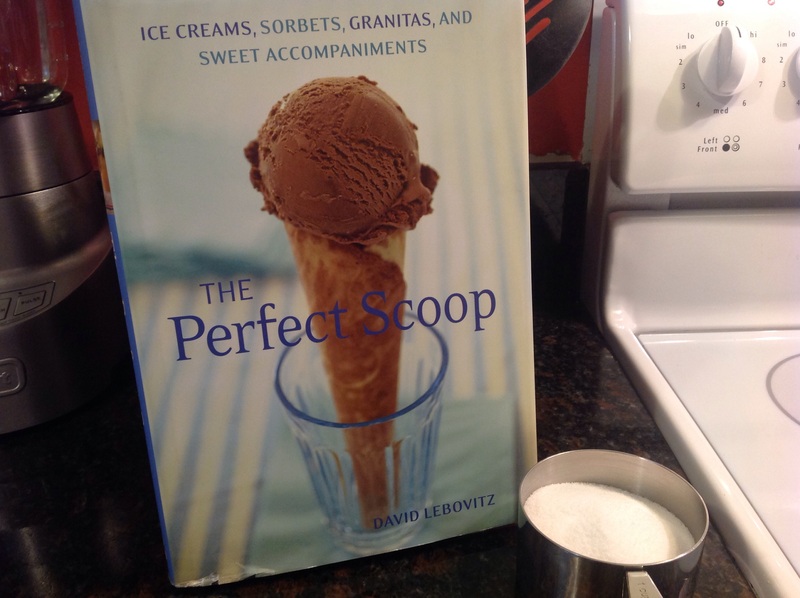 (I am not affiliated, just love this and many other of their kitchen gadgets) He also gave me this great book, The Perfect Scoop by David Lebovitz. We have made several of these delicious iced confections and have enjoyed them all. 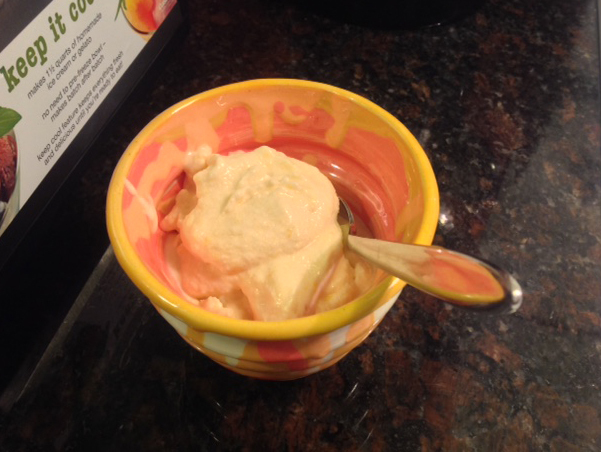 But, this Peach ice cream recipe is by far the easiest and the yummiest. 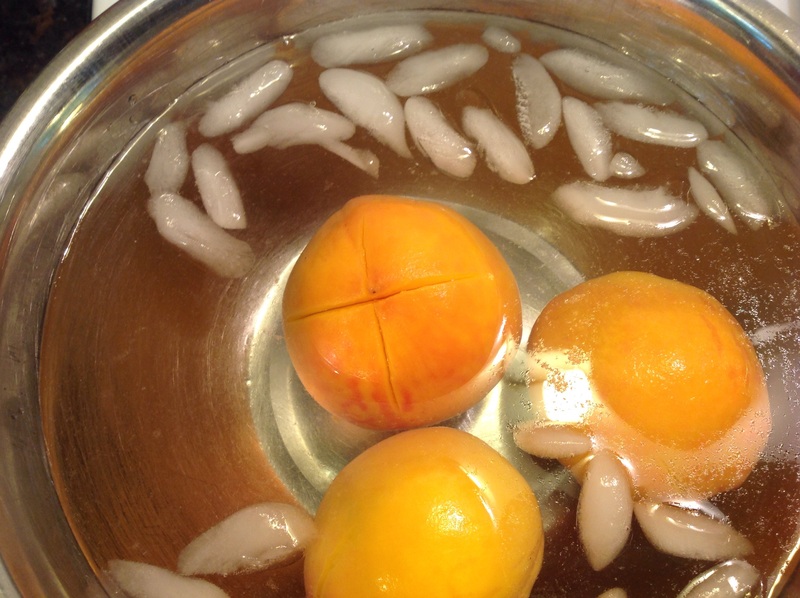 First, you’ll want to blanch the peaches to make it easier to peal their skins. 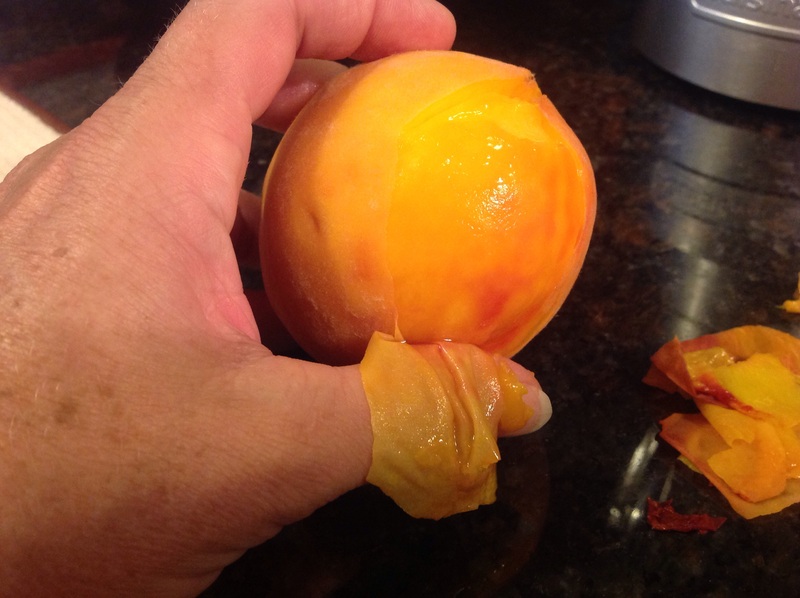 If you cut a small ‘X’ on the bottom of the peach it will help make pealing easier. After they blanch in boiling water for about 20 seconds, they go into a shocking ice water bath. The skins will literally curl back and you can easily grab it with a knife and peal it away. Super easy. 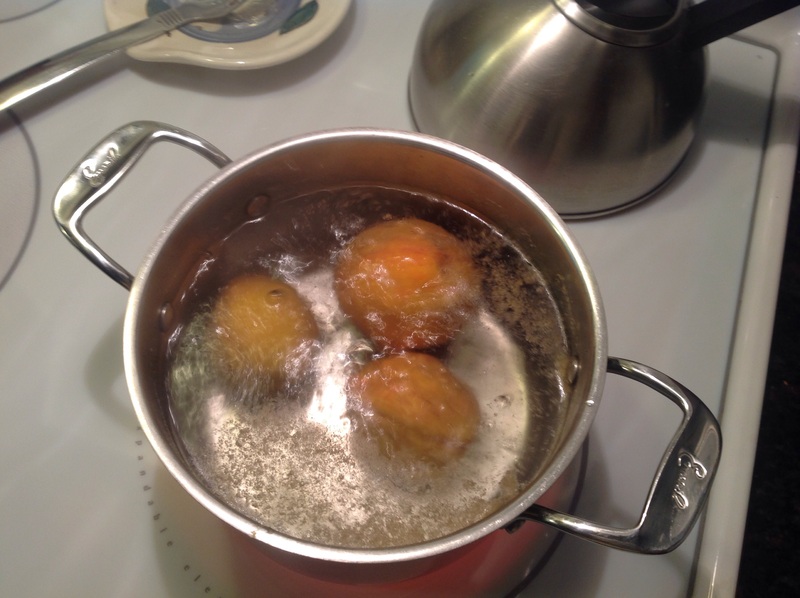 Then just pit and slice them up into a pot and bring the peach chunks and a little water to a boil until the peaches are nice and tender. Remove it from the heat, add sugar and stir. Allow it to cool to room temperature while you run to the store to get more sour cream, I mean clean up the kitchen or something. 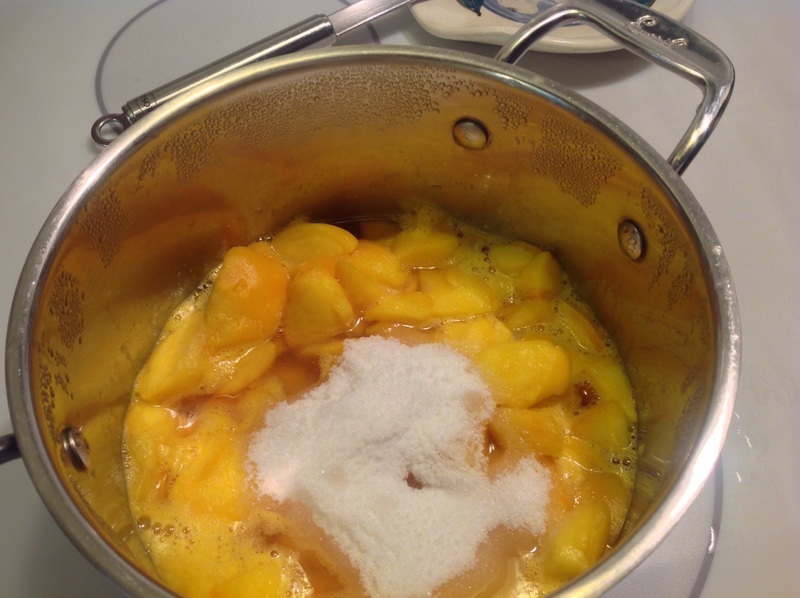 Once it’s cooled to room temperature, just pour the peach mixture, sour cream, heavy cream and vanilla with a couple drops of lemon juice into the blender or food processor and blend until smooth. After it chills in the refrigerator for a bit you can process your mixture in your ice cream maker as per the manufacturers directions. When it’s thick and frozen, grab a spoon and enjoy. The addition of the sour cream gives the taste a nice tang the makes this frozen treat awesome! I have made two batches of ice cream since we got the peaches last weekend. (We are feeding it to the neighbor kids – honest!) Best. stuff. ever! And super easy! 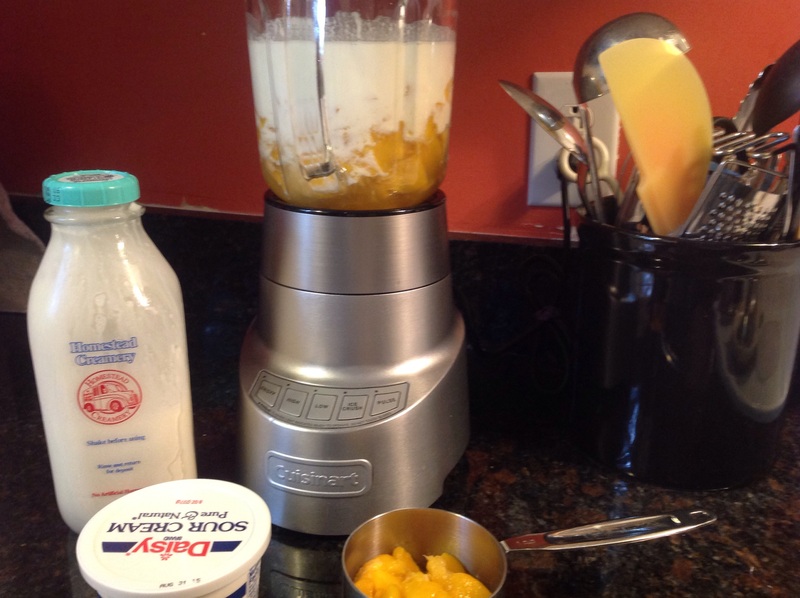 This entry was posted in Gluten Free, Recipes, Uncategorized and tagged yummy desserts. Bookmark the permalink.